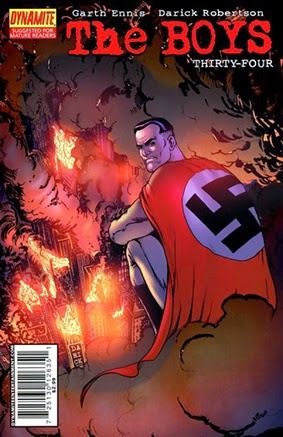 • PLOT SUMMARY: Stormfront: the super-nazi, the Aryan demigod, the worst of the Third Reich's racial dreams come true... versus what's left of The Boys. Can our ragged little band defeat this dreadful ubermensch? Will the Female ever awaken from her coma? Will the cavalry arrive in time, or ever? All this and more, in the bonesnapping, gut-rupturing conclusion to The Self Preservation Society.